Design, Branding, Print, Digital, Illustration, Video, Marketing, Creative, Portsmouth, Hampshire. 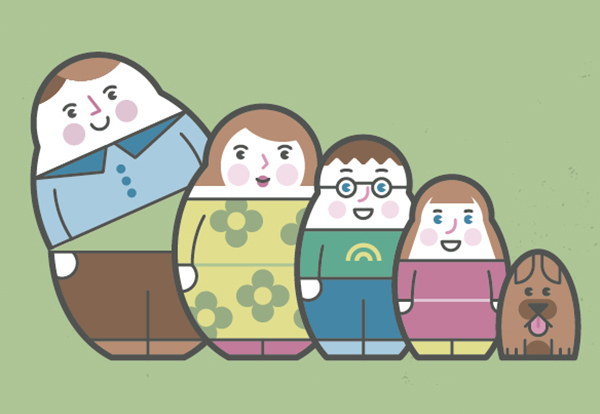 When Starfish was asked to develop creatives for MetroBusUK's family ticket campaign, we immediately thought of nesting dolls and created this cute little group. 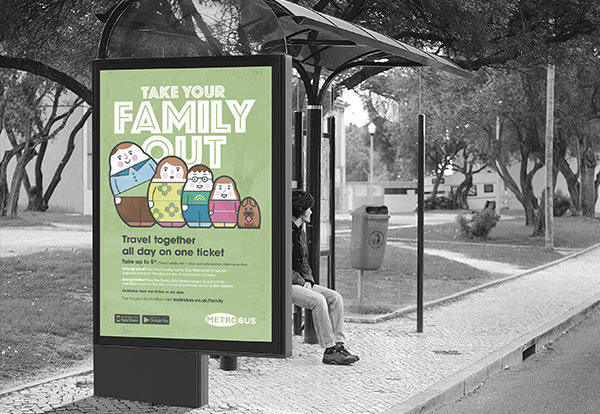 The marketing campaign comprised a range of materials including outdoor advertising, bus stops and a digital campaign. Why not be more social? We're always up to something new, so feel free follow us! This is the website of Starfish Creative Design Ltd of Portsmouth, Hampshire. It is not associated with Starfish Advertising and Marketing Ltd of Essington, Wolverhampton.